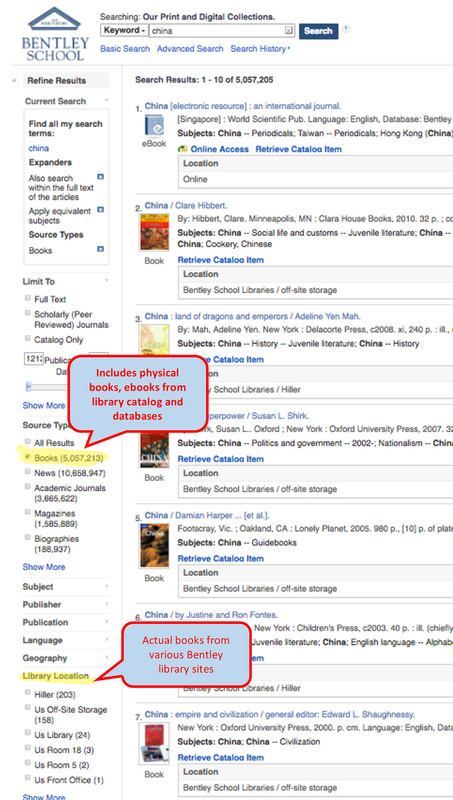 EBSCO DISCOVERY Service works similarly to a Google search in that it searches most of the library's resources. It differs from a Google type of search as it provides access to subscription library journal articles, ebooks, and other scholarly research materials. A number of focus/refine options assist in finding the best information on your topic. 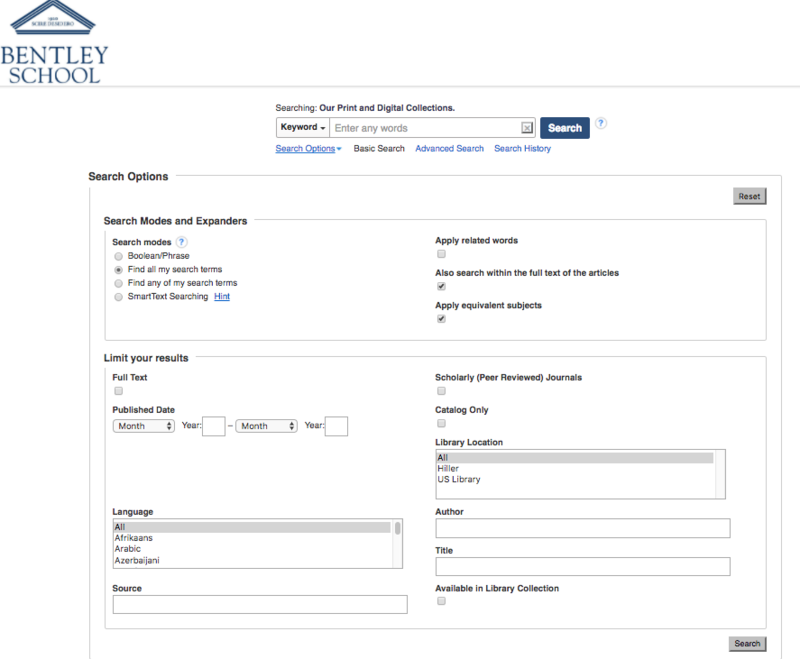 The following tutorial demonstrates the features of EBSCO Discovery Service interface, including how to search for information. The Basic Search Screen lets you create a search with limiters, expanders, and Boolean operators. On the Basic Search Screen, enter your search terms in the Search box. 3. If you want to refine your search results to Journal Articles select Articles from the radio buttons. 4. If you want to use any of the optional Limiters or Expanders, click the Search Options link. 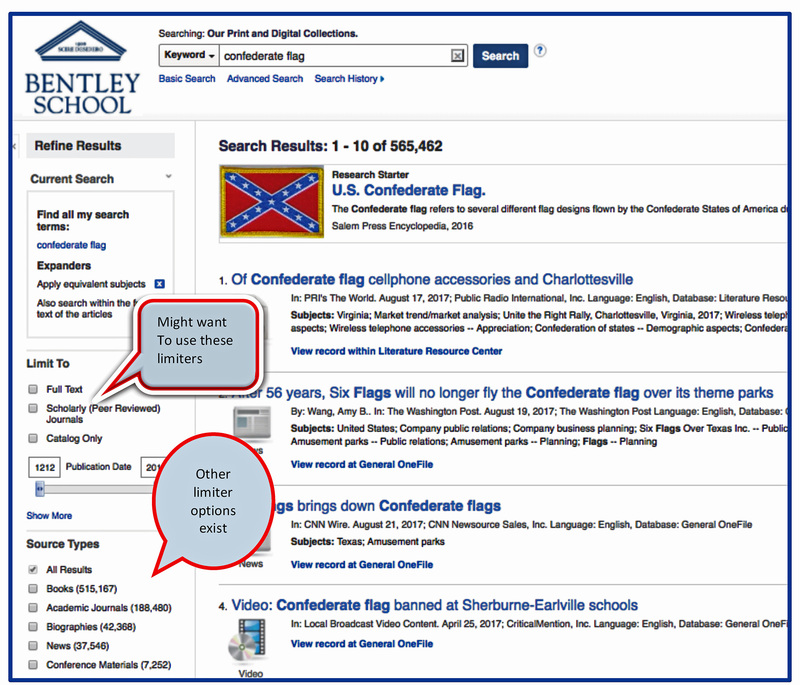 EBSCO research interfaces allow users to conduct advanced searches using Guided-Style Find fields. Guided-Style Find fields assist you in creating a more targeted search. Click the Advanced Search link below the Find field. Enter your search terms in the first Find field on the Advanced Search screen. Choose a citation search field from the Select a Field drop-down list (for example, search in only the Subject Terms field of the citation). Repeat steps 1 and 2 for the second set of Find fields. Select a Boolean operator (AND, OR, NOT) to combine the two Find field entries. You can enter another Boolean operator, keyword, and search field in the third set of fields. If you need additional rows, click the Plus button . Up to 12 rows can be displayed. To delete a row, click the Minus button . Search modes - Use specific search modes, such as "Find all my search terms," or "SmartText Searching," or use search options that expand your search such as "Apply related words." Limit your results - Apply limiters such as Full Text or Publication type. The search field is displayed above the Result List. Your search terms, limiters and expanders are retained. To revise your search, you can apply the limiters under Limit To. Click the Show More link to view all available limiters and expanders.